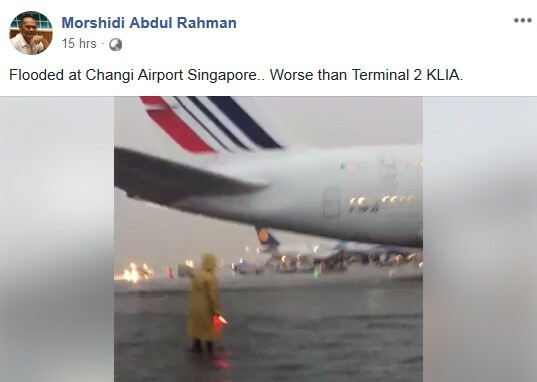 A video showing a flooded airport tarmac has been circulating online and is said to have occurred in Singapore -- but it was actually filmed in Mexico last year. 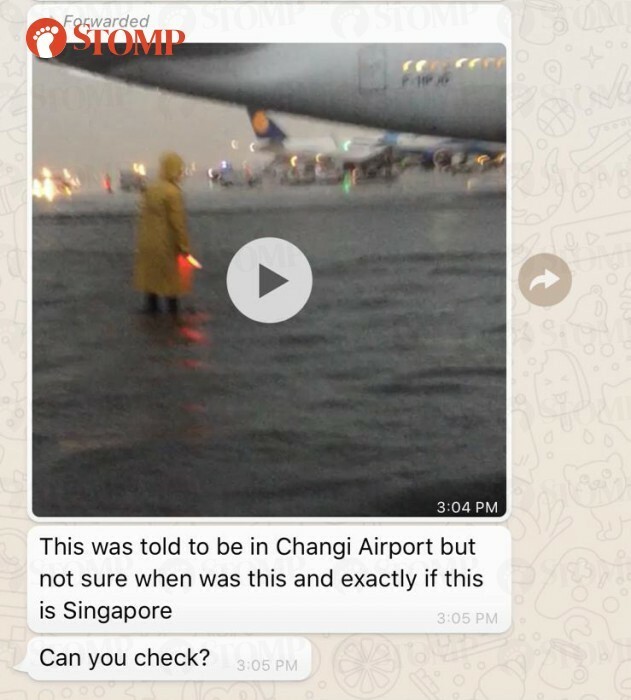 The 28-second video started re-circulating on WhatsApp and Facebook recently, along with claims that it happened at Changi Airport. A plane with what appears to be the Singapore Airlines (SIA) logo can be seen in the background, which might be how the rumours started. Stomper Apachi alerted Stomp to the clip and asked for Stomp to verify its authenticity. Well, the video was actually taken at Mexico City's Benito Juarez International Airport during an August 2017 incident. It was reported at that time that up to 70 millimetres of rain had fallen on some parts of the city, resulting in the flooded airport, stranded motorists and "the closure of key transportation infrastructure". More than 150 flights had to be diverted, while another 18 were cancelled in that incident. A quick search online also shows that this is not the first time the video has been re-circulated with a false location. Other claims where the flooded airport was said to be include Mumbai, Miami and Bangalore -- none of which is true, of course.